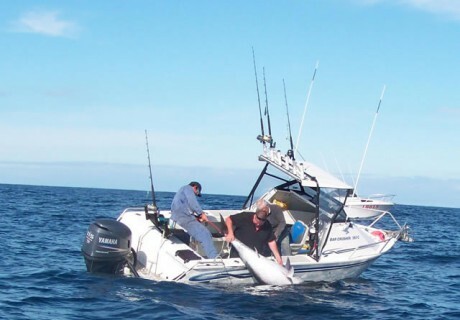 I recently went fishing off Portland, Victoria, and managed the hook-up of a lifetime – a 126kg southern bluefin tuna! Though the adrenalin was coursing through my veins, it wasn’t enough to pull the fish into the boat alone. I enlisted the help of my fishing partner and a couple of guys from a neighbouring boat climbed aboard to help lift it onto the deck of my 610C. With three men and 126kg of fish on one side of the boat, the Bar Crusher’s stability was phenomenal!